In an unanimous vote (with 30 MPPs in attendance) the Ontario Legislature condemned Israeli Apartheid Week (IAW) which began March 1. The attack on IAW is intensifying as a Conservative MP is poised to introduce a motion in the House of Commons condemning IAW when parliament reconvenes . This is the surest proof that the world is catching up to the unconscionable oppression of the Palestinian people. This demonstrates a horrific example of what is really hate speech that has been put into a systematic attack on the only democracy in the Middle East. It’s called Israeli Apartheid Week. It’s just ludicrous. Here is a small democracy surrounded by all these dictatorships. The organizers of this week never look at what is happening in Yemen or maybe Saudi Arabia or that regime in Iran. They don’t bother with those regimes and the incredible amount of torture and systemic abuse of people, their populations, but they pick on Israel. Why do they pick on Israel? It has nothing to do with Muslims, nothing to do with Palestine; it has to do with this long-time systemic hate against anything to do with the Jewish religion. That’s what it is. In Israel, McCarthyite attacks are being levelled at Israelis of conscience who are pointing to the obvious and can no longer stomach the statist oppression. These brave citizens are veing singled out for dragging the country down to where it is today, a virtual pariah on the international stage. Internationally the US and Canada are virtually alone in their support with Canada brooking no dissent from a rabid pro-Israel position. Led by the Prime Minster and Jason Kenney the Harperites are ready to ratchet up the ante in the House they shut down in December. 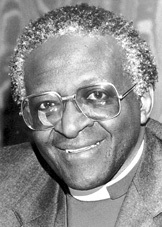 All of the brave people like Desmond Tutu, Jimmy Carter and Henry Siegman the former head of the American Jewish Congress who note the obvious parallels with apartheid are to believed over the political hacks most of whom have never seen what the above have witnessed. Apartheid of course was sui generis. Israel’s shoving Palestinians into disconnected cantons (a word that Ariel Sharon used to describe them) is not the same as South Africa’s model. But it’s pretty damn close. Theology in the Vineyard is a blog edited by Ted Schmidt a pure product of Vatican ll, the energizing reform movement in the Catholic Church.Growing up on a Jewish street in downtown Toronto, he was exposed to the searing experience of the Shoah at an early age. He was the first educator in Canada to institutionalize this in his teaching and the universal lessons of “silence and complicity” during the Shoah informed his teaching and writing. He is the retired editor of Catholic New Times and is active as a community theologian in his parish and community. There is more movement in store as the Holy Spirit never stops renovating. as Vatican ll insisted: The Church is semper reformanda, always in the process of renewing itself .The necessary change is the decentalization and democratization of the church towards “the people of God” metaphor which the Council insisted on. We are an absolutely egalitarian people, a communio, a discipleship of equals .Baptism assures this. It not Holy Orders which is the first sacrament. The Church is an institution and all institutions react to insulate themselves against change.The brakes applied by the last two popes have failed. As Pope Francis has stated Vatican ll can not be reversed. This present pope gives believers hope. The dialogue continues. Stay tuned.